Just north of Vancouver in the shadows of the breathtaking rainforests and ravines of British Columbia’s Lynn Canyon Park sits Capilano University. Enjoying both the expansive wilderness to its north and the lively metropolitan Vancouver area to its south, students at Cap (as it’s affectionately dubbed) have the choice of vibrant two-year diploma programs in 2D Animation, 3D Animation for Film & Games, and Digital Visual Effects. Capilano’s history with animation goes back twenty years. In the time since, the program has changed, grown, and added on considerably. Visibly larger than ever before, the animation and VFX programs welcome students to their new digs in the Bosa Centre for Film and Animation (and we know you’ll drool checking it out). With new offerings, a slew of happy alumni, and a solid reputation for delivering industry-ready graduates, we were eager to learn about Capilano’s robust programs right from the faculty who have developed them. For our latest spotlight Q&A, we bring you a roundtable style interview with Don Perro (2D Animation), Craig Simmons (3D Animation) and Adam Sale (Digital VFX) who talk about their experiences in industry, the making of their respective Cap programs, and what makes North Vancouver a beacon for aspiring animators and artists. We hope you enjoy! (This interview has been edited minimally for length & clarity where necessary). Don Perro: I founded Capilano’s Animation program in 1994. I was a graphic design student in art school in the 80s when, after the first day of classes, I visited my friends in the animation department and was blown away by what they had done in their first class. It seemed like magic. I switched majors! Craig Simmons: I am the coordinator of the 2-year 3D Animation diploma program at Capilano. In my high-school graduating year, I was about to enroll in the sciences at my local college. Coincidentally my step-father, an electrician, was working on a job (at the college) and told me about a training program called "Digital Art and Design". He knew I loved drawing and computers and it seemed like a natural fit. A tour of the facility convinced me that this was the place for me and I enrolled a year later after building a suitable portfolio. Adam Sale: I’m the coordinator of our 2-year Visual Effects diploma program. I decided that a career in animation was the right path for me while I was working through my third year of an Anthropology degree. My initial interest was in using 3D applications as a tool to reconstruct historic sites that likely will not stand the test of time. In this way, 3D would preserve the sites indefinitely. ACR: Overseeing your respective programs at Capilano, what were the most important elements that you felt were imperative to include in your curriculums? Don: When I designed the original animation program (22 years ago), I felt that graduates had to have amazing drawing skills. We still feel that way today. To survive in animation and evolve with it, excellent drawing skills are essential because that ability allows you to do so much. Drawing and History of Character Animation- that’s what’s missing in a lot of places. Craig: The original 3D Animation program was developed as an extension to the 2D Animation program with a similar mandate - to train the best artists in industry production methods so they would be ready for an animation career. We continuously work to develop students’ artistic abilities and professional work ethic in order to build a successful career in animation. Adam: When it comes to the Digital Visual Effects program, we felt a need to incorporate Motion Capture into our programs; we operate a dedicated MoCap studio on campus where we also introduce students to virtual reality and its role in VFX and 3D moving forward. With recent trends in VR, the way films are going to be made down the road is going to change quite drastically. The considerations for CG content need to be re-imagined due to the specific requirements of VR hardware and software. It’s important to get cameras into the hands of students. Shooting live gives them practice and is a hands on way of understanding the nature of light, lenses and how they relate to a 3D environment. We put a lot of effort into maintaining robust camera, lens, lighting, and grip gear. Currently we run a number of Black Magic Cinema Cameras, an URSA mini and hacked 5DMk3, along with a large repository of lenses and rigs. We have a lot of toys! ACR: Do your programs integrate with the other programs in Capilano’s Faculty of Fine & Applied Arts? 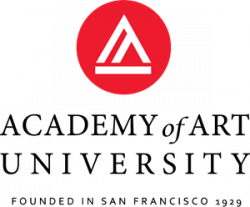 Adam: The biggest advantage we have at Capilano is the collaborative framework within which we work with our other programs including Motion Picture Arts, Acting, Costuming, Documentary Film, Indigenous Film, 3D Animation and 2D Animation. Our projects cross disciplines so that a budding VFX artist works with Film students, and there is a lot of tertiary learning going on outside of a student’s (particular) program of focus. ACR: Don, the 2D animation program underwent some changes in recent years. What made you rethink the then-successful ‘Commercial Animation’ program, and what makes the new 2-year 2D Animation better suited for today’s students? Don: When Capilano became a university in 2008 - it was previously a community college- there was a need to restructure and I re-wrote the curriculum. Our main goal of preparing artists for successful careers in animation hasn’t changed and there are similarities to the old program. Among other things, we’ve added some new courses like “Emerging Technologies” and “Entrepreneurship in Animation” that I felt would help students after graduating. After talking with industry reps and hearing of their need for more trained artists, we doubled our intake from one class each September to two classes, which will result in up to 50 graduates each April now. ACR: On that note, the 3D Animation program also expanded from an 8-month to a 2-year curriculum. What are some of the new elements that the 2-year allows you to offer? Craig: The animation industry has been booming in recent years. We were told by local industry that recruiting talented people was an issue; they urged us to build longer programs to allow students the time to develop skills beyond entry level training. In order to give students a broader range of foundational skills, we combined the ideals of training students as traditional animators with our 3D animation training ideals. The result was adding Life Drawing, Concept Art and Animation Action Analysis in order to build the students abilities in drawing, design and animation to create appealing work. We were also able to focus on higher level skill building and specialization in the core competencies of modeling, lighting and animation. Having a second year to focus the students’ skillsets on their chosen industry speciality while providing industry awareness through business writing and entrepreneurship classes allows us to produce well rounded artists with a professional understanding of the business of animation. ACR: Switching gears to the VFX side of things, is it difficult determining which tools of the trade to bring on board Adam? Adam: It’s a balancing act for sure. Hardware and software is always changing. We put a lot of stock in making sure our students have access to the best hardware and the widest selection of software. Our machines are packed with the latest software and we have our main workhorse software packages that we use for the bulk of our courses; when a student requests a tool we have a policy to add a couple of seats at the very least. There are so many career paths a student can travel down. Giving them the most amount of options allows for them to decide where they would like to end up after graduation. Craig: In addition to what Adam describes, we always try to focus on what is the best way to train students for our local Vancouver industry across animation and VFX. The tools and software we use are based on industry production pipelines and the talent and experience of a dedicated faculty who all work locally. For the best results, we try to streamline how the students use and learn the software. In the end, it’s all about the quality of a portfolio for our industry and graduates. Don: I’m all about classical and anything that takes time away from learning the fundamentals (drawing, design and animation) is a bad thing. Without excellent fundamental skills, the technical skills are useless. However, even the most amazing classical animator needs to know production software. I was pushing against a specific software for years until one of my part time faculty (who was a director at a local studio) told me that students from other schools were getting jobs because they knew the software. I gave in, learned and started teaching an introduction to that software. For us, the proper balance is: “as much artistic fundamental skill as possible and only enough software skill to get hired”. Grads can always learn more software on the job…it’s not that hard when you’re using it every day. Adam: Our faculty is a mix of tenured faculty and industry professionals. That mix is important as it’s impractical to run a program with part timers coming in from their studio day jobs. We frequently bring studios into our university in a recruitment capacity, as well as in an educational capacity. We will bring studio artists in to give talks on their roles in production, their experiences as students move into industry, and any other questions our students come up with. Our programs are supported by a robust advisory board that help us stay current in this rapidly changing field. The second year of our VFX program incorporates an unpaid practicum, giving students the opportunity to make valuable industry contacts and gain some experience with studio life. ACR: And how about festivals and demo days? Adam: We maintain close ties with the organizers of the various festivals and conventions and encourage students to sign up as volunteers. Our grads find their ways into studios, which in turn allows them to ‘give back’ to the university in guest speaker capacities. We also run a grad show in a Science fair style, with grads operating booths in which they present their portfolios. This is different from the typical theatre screenings many schools utilize. Our grads tend to come back in droves, hiring the recent grads, or recruiting them for the various studios they now work at. It provides a great ecosystem for gaining employment post student life. That said, many studio recruiters drop in on our grad shows to handpick the best and brightest. Don: The alumni network is an important part of our program. Seeing graduates not only survive but excel in high level positions in studios and as entrepreneurial artists is really rewarding. Bringing in successful graduates to speak is great because students understand that the guest used to be a student like them… they see that success is possible with a lot of work. We also have an informal mentorship program in 2D where I ask students what they want to specialize in and which studio they want to work at. Then I find a Cap grad doing that particular job at that specific studio and match them with the student. The alumnus answers questions and maybe reviews the student’s online work. We also bring in recruiters and visit studios. We host networking mixers for current students and alumni to mingle. We have grads who come back to our biannual open house events and help with portfolio reviews. Craig: The best part of working at Capilano University is working with the graduating students and seeing how their careers blossom over time. We have a long history of graduates in the 2D and 3D animation industries; alumni work at almost all levels. It is very interesting to see graduates from our different programs (2D, 3D and VFX) who are now working at the same studios and becoming better friends than they were in school. The best part of a successful program is the friendships that students and faculty make as they journey towards a future career. ACR: You recently acquired a new 8,000 sq. ft state of the art facility, the Bosa Centre. Tell us a little about these new digs that you and your students call home on campus? Adam: The Bosa Centre is an amazing space in which all of our Film and Animation programs operate. Currently, it’s in phase 1 with a 2nd expansion to come. Our ground floor features 3 giant sound stages for live action/VFX work. The stages host an apartment set that you could live in, a bar set that we often host parties in, and a giant green screen stage. We operate a massive props room and our studio tech department has camera gear. Outside, behind the sound stages, we have built a 1920s/30s era city block that contains storefronts, streetlights and sidewalks. The first floor features our 250 seat state of the art 3D theatre. It rivals many of the movie houses in Vancouver. The first floor also features acting workshop rooms, color and 3D edit suites, foley and ADR, and makeup and green rooms. The second floor consists of faculty offices, the benefit being we are all located within close proximity, allowing for maximum collaboration. The third floor is where all of our classrooms are located. They are stock full of Wacoms, Cintiqs, dual monitors, the desktops are stuffed with software. And outside of our Bosa Centre we operate a dedicated MoCap/VR suite. Don: The best thing about the Nat and Flora Bosa Centre for Film and Animation was that the space brought together the animation/VFX faculty and students with those from our successful Bachelor of Motion Picture Arts program. It also enabled us to provide a Cintiq and animation desk for every student. No one has to leave their desk to make way for another class. They can sit there and keep working late into the night! ACR: Do most applicants come with similar educational and/or working backgrounds? Adam: (in VFX) our students come into our programs with diverse backgrounds and quite diverse skillsets. Our goal when building our (graduating) classes is to put together a body of talented individuals who all bring something different to the table. We get sculptors, programmers, artists with prior CG experience, painters, mathematicians. and generalists. It’s the energy they bring to the program and how they interrelate that makes our classes unique. Each student illuminates an area that the others have little or no experience in. Don: In the 2D program, we look for people who can draw and have an idea of what they’re getting into. I never ask to see animation because we teach that in the program. Of course, we’ve had the occasional transfer student from Sheridan or the BFA grad come and start over again in first year but we also take people right out of high school. Some people say it’s hard to get into our programs but it’s not, really; as long as they research what we’re looking for and spend some time getting their skills up. Don: The Animation Fundamentals program is a series of full time courses in July and August that offer two things: a look into what the animation industry is like and, if they like what they see, a push in the right direction for people wanting to put an admissions portfolio together. As with the fall program, instructors are from the industry and the students have full access to the same equipment. Just because someone doesn’t get accepted into a program doesn’t mean they should give up hope. It may just mean that they need to work on their entry level skills some more. I was rejected on my first attempt to get into art school in Toronto and I felt terrible but in hindsight it was a positive thing. I became more determined and worked on my portfolio all year. When it came time for the next year’s interview, I didn’t even bother showing up…because I had already been accepted to a better school in Vancouver! It’s how you react to that closed door that determines whether you eventually succeed or not. ACR: That’s a great piece of insight, Don. What other attributes have served you each so well throughout your careers that you try to impart on your students? Adam: Never stop learning. This is an industry where you are riding the crest of a fast moving wave. You don’t want it to crash down on you. Strive to constantly learn new techniques; appreciate and incorporate workflows you may not have considered. Be nice to your peers for you never know which ones will be the person who hires or recommends you for hire. Be inquisitive. One of the best things about our industry is that often, in order to complete a task, you are forced to learn about something well outside of the scope of the industry. It makes for a well rounded individual. Don: On my grade four report card, the teacher wrote, “aims to please”. It’s still true. I don’t want to ever let people down. That attribute helped me in the industry and now as a freelancer, consultant and as a teacher. I try to teach students to do their best work (while maintaining balance in their lives), be professional, get along with everyone, keep learning and have fun. Craig: Problem solving, dedication and professionalism. These traits have served me well over many years of working professionally. Always help others out- after all animation is a team sport. The people you help today will be the people that help you tomorrow. Always keep learning as technology and artistic methods are constantly changing and it is in our best interest to be the master of our skills. ACR: Lastly, why do you think animators and VFX artists are among the most likely professionals to ‘pay it forward’- be it teaching or mentoring or helping a colleague? Adam: Animation takes time to learn, and it is quite exciting once you break on through. Animators are generally pretty outgoing individuals with a lot of energy that needs diffusing. Helping others out is a way of diffusing that energy while giving back at the same time. Animation also lends itself to a Master/Apprentice model based on the workflows set out by 2D artists early in the 20th century. Building animation scenes from general to specific lends itself well to allowing senior artists to groom junior artists in a block, breakdown, cleanup methodology. Don: I think animators like to help others learn the craft because animation is like magic. It IS magic. Being able to make your drawings come alive and walk, talk and think is a magical power few mortals can do. And once you know how to do that, helping others learn to do it is even more fun. That was certainly how I felt in 1981 when I devised a plan to be a first year animation student forever. Craig: I always tell my students that if there were no animation industry to work in I would still be creating art as it is a big part of who I am. People always talk about passion, but the best part of this is that it isn't a hobby, it is a necessity for being a creative person. The fact that we get paid to do a job that is ever changing, that allows us to help others change their lives and is amazingly rewarding and fun is an amazing experience. That is the reward that we get from being teachers. When we see that same creative spark in our graduates it makes everything we do worthwhile. The best part for me is students never stop challenging us to learn and be better! ACR: Gentlemen, thank you immensely for your time. 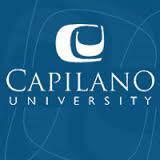 It’s been great catching up with Capilano University’s various animation and VFX offerings!